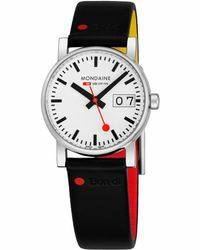 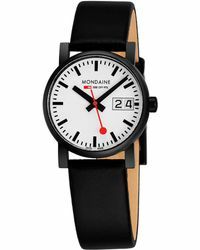 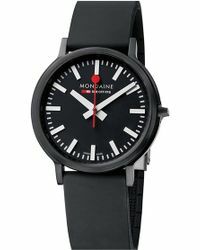 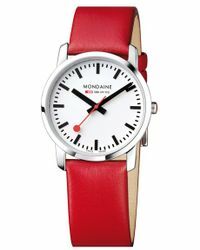 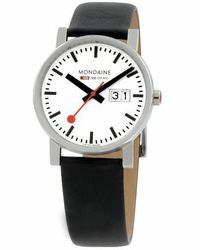 With roots in Switzerland, Mondaine crafts sleek watches that marries modern style with luxury craftsmanship. 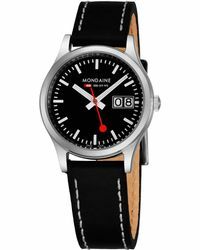 Founded in 1951 by Erwin Bernhaim, the tradition of watchmaking has carried on with his sons Ronnie and Andre Bernheim at the helm, with each watch meticulously assembled in the Mondaine factory in Biberist/Switzerland. 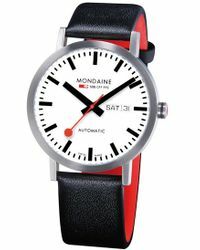 In 1986, Mondaine famously converted the Swiss Railway clock face and bold hands into a readable watch, now recognized as a design classic the world over. 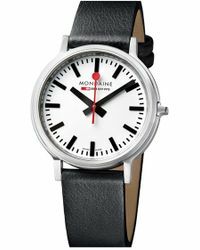 Timeless and sophisticated, each iconic timepiece unites tradition and design and is perfect for made to contemplate today's contemporary lifestyle.